There is a conversation that I’m having routinely with all clients over the past week. That conversation is about mobile page load speed. I’m having a bit of trouble understanding why it’s still a conversation anyone needs to be having since that same conversation has been happening among leading companies and their SEO teams since Google announced a mobile algorithm update in February of 2015 and released in April of 2015, what has since been called “Mobilegeddon” by SearchEngineLand. Realistically, I understand that companies cannot drop everything they are doing and dedicate scarce resources to unexpected new projects because Google announces another algorithm update. However, when Google tells us that page load speed is important 5 years ago in 2011, with a “Mobile Best Practices” presentation, and then that page load speed is important when they offer mobile page load speed scoring tool. We really do need to listen to these signals coming from Google and offered sometimes years in advance of any algorithm updates. When I accepted an SEO Director job in 2011 at an online retailer, I had expressed surprise that they didn’t have a mobile site – not one page was mobile friendly. It took two more years before resources allowed and we were able to launch a responsive mobile version of the site. It was, however slow-loading until we optimized it enough to score well in Google’s Mobile Friendly testing tool. 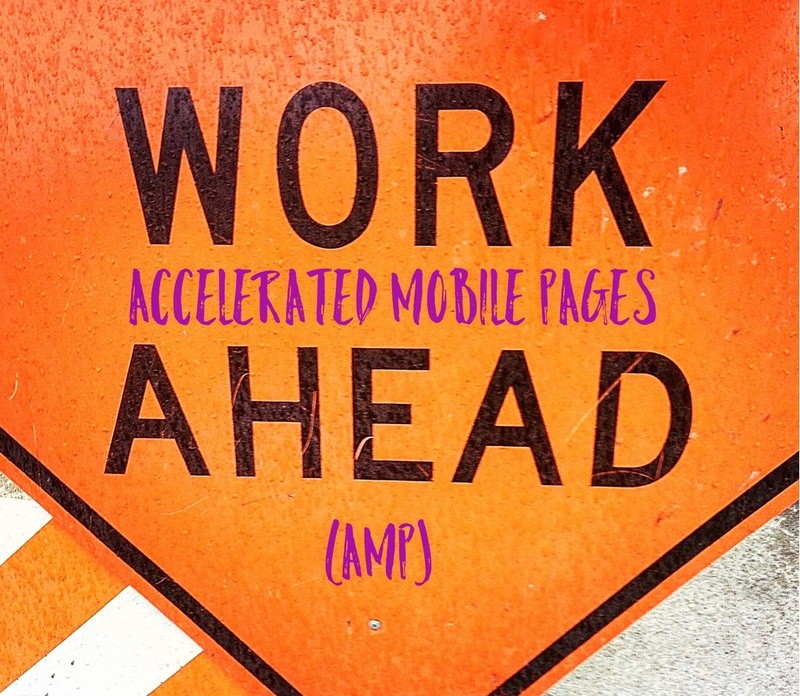 Then, in early October of 2015, Google announced Accelerated Mobile Pages (AMP) which is, as best I understand it, a sort-of caching and serving pages via a Content Delivery Network to serve up instant mobile pages – incredibly fast mobile pages. Right now this option has launched with major online news organizations. You can be certain it will move to becoming a ranking factor for mobile sites before too long and will become far more important for everyone. This is why I’m talking to my clients, especially enterprise sites, now about the AMP Project and why it should be on everyone’s development roadmap this year before the holidays. Take note WordPress users – this project is being made accessible to all WordPress sites now on a limited basis through the Automattic AMP plug-in and Yoast SEO has launched a tool called “Glue for Yoast SEO AMP” for those using Yoast tools already, it extends WordPress AMP functionality within the Yoast toolset. And now some help on AMP for Drupal users. You may want to act on this sooner rather than later to make certain you don’t find yourself reacting to AMPegeddon in a panic when Google announces that AMP is a ranking factor and those who haven’t implemented these tools on mobile will not show up in search results above those who did the work early. Schedule the work and reserve the construction equipment before peak traffic periods.